Brooklyn is a 2015 historical period drama film directed by John Crowley and written by Nick Hornby, based on Colm Tóibín‘s novel of the same name. The film stars Saoirse Ronan, Emory Cohen, Domhnall Gleeson, Jim Broadbent and Julie Walters. 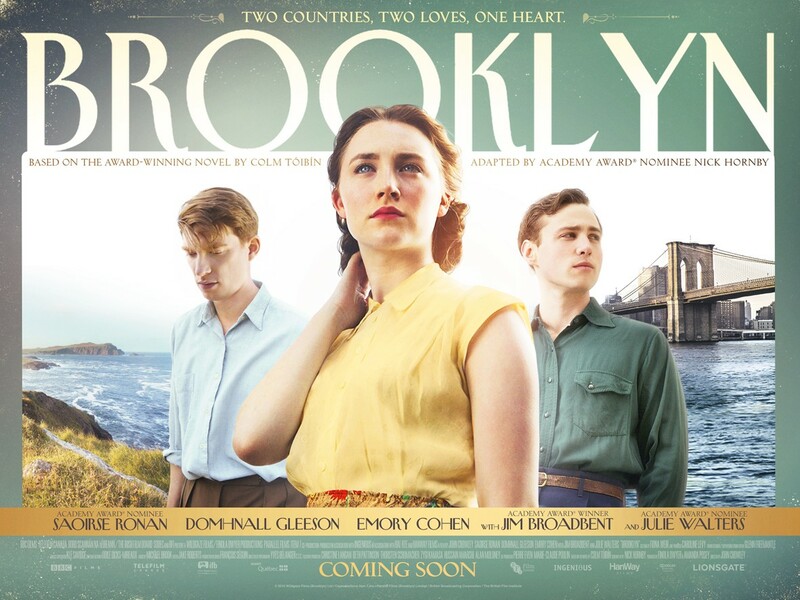 Set in 1952, the film tells the story of a young Irish woman’s immigration to Brooklyn, where she quickly falls into a romance. When her past catches up with her, however, she must choose between two countries and the lives that exist within them for her.